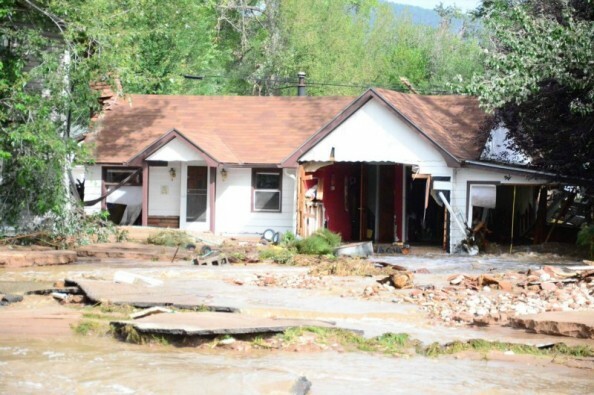 The recent flooding in Colorado was devastating to many. David, Enion and their 5 year old son, Aesop, were some of the people hit the hardest. Their house and music studio and all contents inside have been completely wiped out and lost. Luckily, they are physically ok and managed to escape with only their instruments and their dog, Tabla, just in the nick of time. This house meant more to them than shelter... They were able to use all of their inheritance from their grandparents to buy it outright and build a music production studio. This allowed them to continue their profession as full-time musicians with their band TAARKA, teach lessons and produce music for other bands. Unfortunately, they did not have flood insurance and their homeowner's policy is not going to cover their losses. On top of that, the land where their house sits could be deemed "unbuildable" so it is possible they will not be able to rebuild on the land they own. While David and Enion have been dealing with this ordeal, they have also lost significant income they would have earned playing gigs, teaching and producing music which would have helped carry them through the slower winter months. As musicians, they have no extra money, no savings and literally live gig to gig to keep afloat. They are wiped out. This fund will help David, Enion and Aesop rebuild, in whatever shape that takes, and help get them through the upcoming months. To read more about their story, check out David's Facebook page where he has documented it well with photos and day to day accounts. If you don't want to donate cash, another way to help is by supporting the band by buying TAARKA tracks and albums from Amazon. Thank you for any support you can give - whether a donation, a share, a thought or prayer. It all helps in making their lives better after this horrible disaster. Hey everyone! Dave, Enion and Aesop are back in Lyons now. They are renting a basement apartment until they hear whether their land will be bought out through the federal buyout plan. So their house situation is still up in the air for now. In the meantime, they are finishing up the editing of their new TAARKA CD, which they hope to release in April. Many of the tracks will be inspired by their flood experience as well as their recovery. And, they have begun their spring and summer tour starting in CO and moving west to CA, OR and WA. Hope you can make it out to some of the shows! They are also working on getting an agent or band manager to represent their band, TAARKA. However, most agents and managers won't consider them until they have grown their Facebook likes to 10,000. This is an important step for them since their production studio was wiped out and they need to focus on making their band successful until they are able to rebuild the studio for a second source of income. You all have been so wonderful and generous with your contributions and support, hoping you can help us reach that goal on their Facebook page so we can continue to help them grow their business and recover. All you have to do is go the page and hit the Like button. It's easy (and FREE)! Also, if you could please share their FB page with your friends so we can help them reach this goal quickly. Thank you again for all of your generosity and continued support. It's been awhile since I have sent an update... So I thought I would send out the latest email from TAARKA to you all. It includes a little info on what they have been doing as well as a list of lots of upcoming shows coming we hope you can get out to! Hi all!! I'm writing you all from Virginia presently. We are getting ready to play 3 concerts here in VA. this coming weekend then we head back to Colorado. David and Enion will be playing ETOWN HALL in Boulder with some friends, plus a bunch of dates with The MATT FLINNER TRIO in the Colorado area, then we head off for a tour throughout the WEST COAST for the latter half of April and early May. We have been working hard at finishing a new CD recording that we're quite excited about and should have in time for the west coast tour. Can't wait to see you all. The dates are listed below. Thank you all for your ongoing thoughts, support and donations! Just wanted to share a video a friend made documenting the flood and Dave, Enion and Aesop's story. Please share! FYI: The best way to help Dave, Enion and Aesop directly is donate through this site. 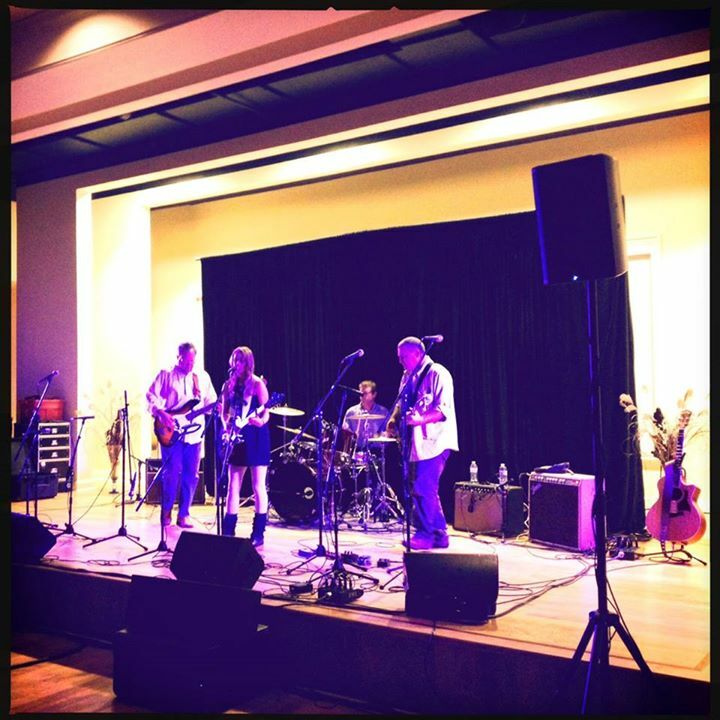 $4562 was raised for the Lyons Musicians Relief Fund at the Old Waterford School House ROCKS for Colorado Musicians show Saturday night. So great! Thanks to all who came out to the show and the musicians who participated. The money raised is being sent to the LMRF, which will help Dave and Enion, as well as be dispersed to the other Lyons' musicians in need. So nice to see one small arts community come together to help another thousands of miles away. Still hoping to reach our goal on this site to help David and Enion. Their need is still great. Please help me keep this drive going! There has been so much wonderful generosity and support, but they have a long road ahead and every little bit helps! Let's all give what we can! I'm riding down to a gig with my friends the Railsplitters, and finally having a chance to read all your wonderful, comforting messages. David, Aesop, Tabla and I are so immensely grateful to all of you. Thank you. From what I have read, there is a Post Office in Longmont holding mail for Lyon's residents to pick up. Dave and Enion are on the road for a couple of weeks, so won't get anything until they return... but it sounds like they can still get mail delivered to their Lyons' address. I will let you know if this changes. So kind of you to put those things together and send out Pony (Elephant?) Express! Anne... cool, thanks. I didn't know if they had an address to receive anything at. I'm putting together a care package of winter clothes for them and sending it along via Bridget Law (of Elephant Revival) because I wasn't sure how else to get stuff to them. Keith - I am not sure how the goal thing works.... I upped it so that it did not get cut off. If you are working on some benefit stuff, you can also send directly to Dave and Enion if you have their address. Wishing you peace of mind and a home of your own again.